Add any of our services listed below to your cart. Checkout is provided by PayPal. When you complete your order, head to our Appointment Scheduler and reserve a preferred time and date. A Power Crew representative will contact you to confirm your appointment. Your family's continued safety is our top priority. That's why we are here. We will do a safety inspection for you today, and every year preferably, we will return to your home to perform a complete electrical-protection inspection to spot any new problem areas before they become a hazard to you and your family. Our single circuit diagnosis fee is a flat fee regardless of how long it takes to identify your problem. When your technician has located the problem, he will explain what it is and what options are available to you. Most small repairs, such as, loose connections, are included in the diagnosis fee. If, however, your particular situation requires a more involved repair, such as, new wiring or new parts, your technician will show you your options using our upfront pricing methods. Most standard outlets and switches should be replaced when they begin to be worn out every 7-10 years, depending on the usage. We also examine the splices and connections when replacing devices and we will make necessary repairs if we find loose or improper connections. 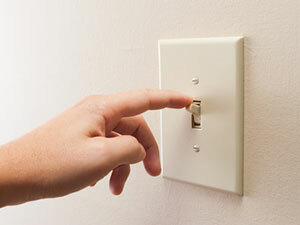 Specialty devices, such as, GFCI receptacles and dimmer switches are charged at separate rates. 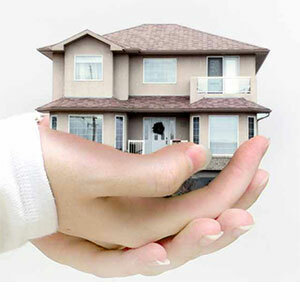 We also give package discounts and safety updates bundles when doing a whole room or whole house device replacements. 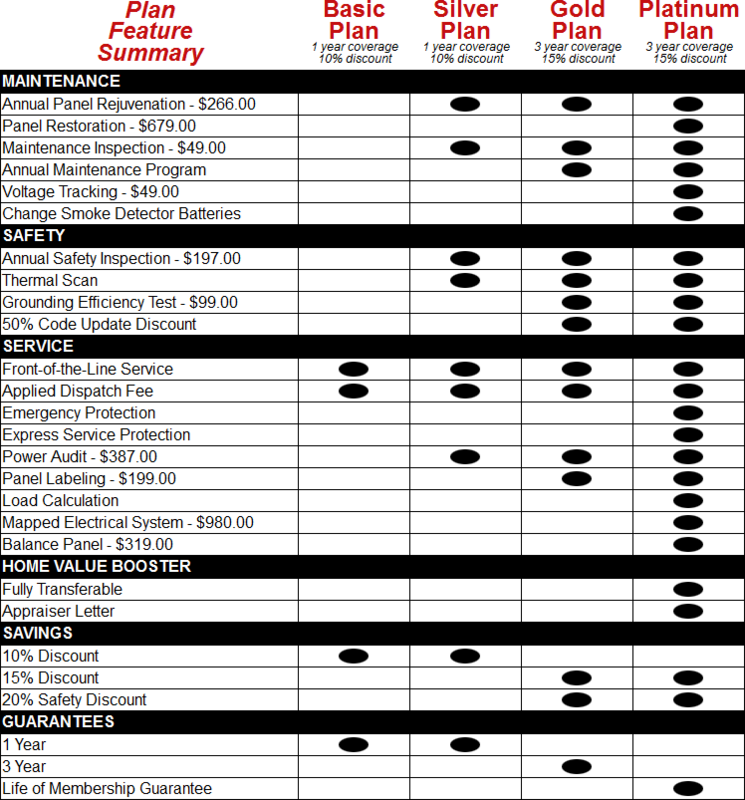 We have package discounts and safety update bundles when doing a whole house device replacement. 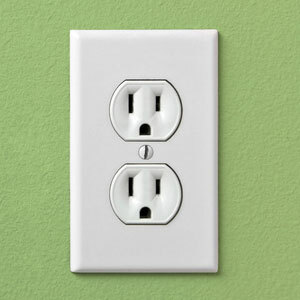 We offer all standard switches and outlets at $10 each when doing the whole house. GFCI outlets and dimmer switches are quoted separately. Standard ceiling fan replacement includes the removal of the old fan, assembly of the new fan, and installation of the new fan. We also check the ceiling for the proper UL listed ceiling fan support brace box and we will quote that separately if necessary. 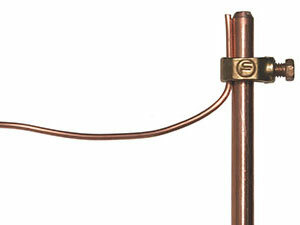 This standard replacement charge includes ceiling heights up to 10'. 10'-16' ceiling heights are $161. 16'-23' ceiling heights are $307. 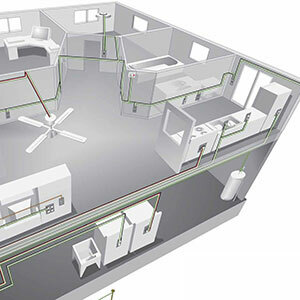 Having a proper grounding system is essential for the safety of you and your family. Without proper grounding, you can become the ground when presented with electric shock, drastically increasing the threat of electrocution. Most homes built prior to 1978 lack the proper main ground and homes built prior to 2011 lack the supplemental grounding needed. Our mission is to protect you and your family from the threat of electrical hazards and to ensure your continued comfort and safety. 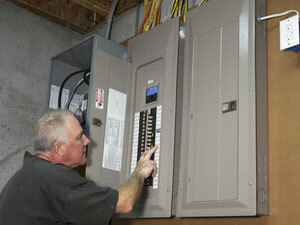 The electrical industry is constantly improving with new technology to make your home more energy efficient and safer. 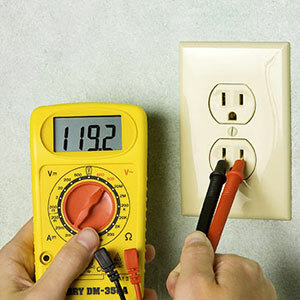 The electrical codes are constantly updated to reflect that technology, and many of these advancements have outdated wiring methods used in the past. If your home hasn't been updated with the latest standards, you may have a potential hazard under your roof. 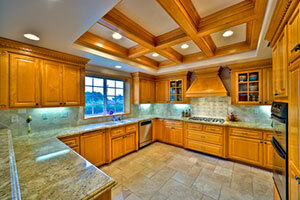 Can lighting is one of the easiest ways to update the look of your home. You can add light to places you need it and also replace existing light fixtures with can lighting. We offer bundle package discounts when purchasing four of more per room.